The use of social media is steadily increasing along with the development of smartphones in our world and K-pop idols are no exception. Social media sites such as Twitter and Instagram aren’t just platforms for idols to update their fans about their activities, they also help to break the physical barrier separating us from them, allowing fans to directly interact with the idol. At times, the idols even reply or acknowledge the comments or tweets of their fans through fan talks, which is a great method to make a fan’s day. By showing more of their true selves through social media, idols are able to garner more support and love from their fans, which is as good a business strategy as any other. Here are five idols who are particularly social media savvy and are consistently appearing on fans’ feeds. This guitarist from freshly-debuted band Day6 has been grabbing attention recently not just because of his group or his amazing voice but also because of his hilarious tweets and Instagram posts. Known fondly by fans all over the world as the “hashtag king”, he literally hashtags everything ranging from “#NoseBloatedLikeSquidward” to “#EveryVillainGottaHaveAFurCoat”. 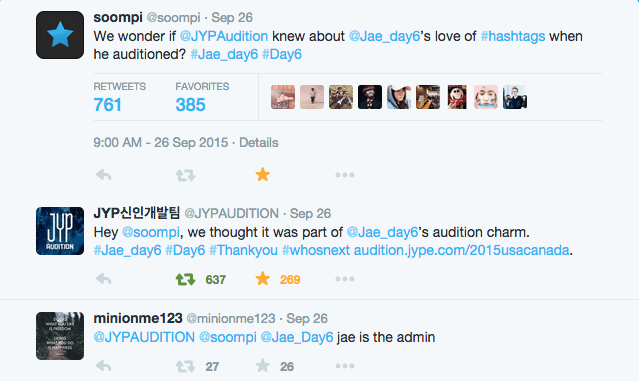 Popular news website Soompi also noticed that, as can be seen by their humorous interaction on Twitter with JYP Entertainment’s Twitter account regarding Jae and his love for hashtags. Jae seems to be online for a good majority of the day because he is constantly replying or retweeting fans’ tweets to him, most of the time with funny comeback lines or pictures. He also made use of his internet prowess. He even went and changed his group’s “Wikipedia” page when they first debuted. It is rare to find K-pop artists with so much freedom, especially because most artists allegedly have to check with their managing companies before they can update their social media. The other members of Day6 also seem to enjoy this social media freedom, even though they are not as enthusiastic about hashtags as Jae. Whatever it is that JYP’s doing right with this group now, I hope they continue doing it. GOT7 recently made a comeback with their latest album “Mad,” and Jackson announced its release proudly on his Instagram account in three languages (Korean, English, Chinese). Two days before, he also took to his Instagram account to wish his fans a “Happy 추석” (“Happy Chuseok”) or “中秋节“ in four languages (Korean, English, Chinese, Japanese). He doesn’t just use social media to practice the languages that he has been learning (such as Japanese), he also uses it to talk to more fans from around the world. For non-native and non-Korean speaking K-pop fans like myself, nothing touches my heart more than when my idol takes the effort to write a caption on social media in a language that I actually understand. It makes me feel like the distance between us just got shortened (delusional, I know) but it is an effective way for Jackson to reach out to his international fans, of which GOT7 has many. He also shows his fans that he is preserving his roots as a Hong Kong born boy and that he is multi-linguistic, along with the various other skills this multi-talented artist possesses. Out of all her fellow members of Girls Generation, Tiffany uses her Instagram account the most frequently and in the best ways. She shows various sides of herself through her posts. There’s the professional side, where she shares her group promotion pictures and advertisements; there’s the cute side, where she shares lovely selcas of herself, with her group mates, or pictures about her dog. More importantly, she also has a goofy and playful side, a side which fans especially adore. For the Chuseok holiday, she posted a cute cartoon picture wishing her fans a happy celebration and she also posted a video of Yoona, Yuri and herself on a lunch date. Tiffany uses Instagram to share her current favourite things, be it a singer or even packs of “Despicable Me” minion-shaped twinkies. It is social media users like Tiffany who remind fans that K-pop idols are humans just like the rest of us, and it definitely allows fans to relate more to these idols and feel closer to them. Dara is already well-known in the K-pop world for her quirky and adorable personality, along with her flawless beauty and fashion sense. Her Instagram account further shows off her unique character as she constantly posts cute selcas of herself, hilarious pictures of herself when she is filming, and her amazing clothes whenever she attends an event. She also seems to go overseas a lot, be it for a relaxing holiday or to catch up with friends and family in the Philippines, and whenever she does, tons of photos are bound to posted along with it. Through her Instagram posts, fans are allowed to see more of Dara’s personal life and to fall further in love with her truly cute and cheerful personality. The best part is, this idol knows it, and utilizes social media as a tool to portray herself more endearingly. She also uses her account to show support to her friends and labelmates, cheering them on whenever they have a comeback, further empathizing the YG family friendship and close bonds. YG labelmate Seungri is an active participant on a different social media platform, one that has recently become popular among K-pop idols. The “V App” was launched earlier this year, reintroducing the idea of live-streaming and adding an interactive comment section for fans. Although “Naver” used this in the past with apps like “Starcast”, the older apps were significantly less accessible and more difficult to use because the apps were all in Korean. Comparatively, the “V App” allows global fans to watch the live streams as well because there are instructions in English and even a subtitle function for some of the live streams. It is extremely convenient for the idols to use as well because they just need to install the app on their smartphones and do not need a fixed time to have a broadcast. Seungri utilizes this app very well as a tool to interact with his fans and to show them more aspects of his personal life. A notable example would be when he broadcasted his volunteer work at an animal hospital. As he helped to clean up the hospital, Seungri also conducted fanservice according to the requests of the viewers commenting on his livestream, such as spoon-feeding a fan who was at the scene. Through livestreams like this, Seungri shows off his caring nature while also showing fans that he is willing to listen to them and read their comments. If this isn’t the best way to keep his fans happy, I don’t know what could be better. 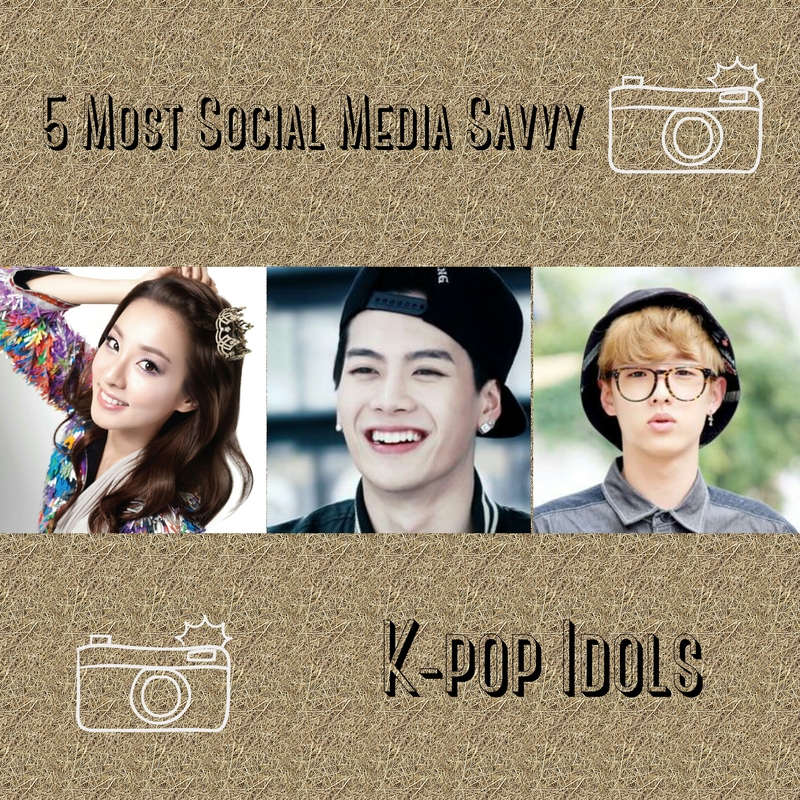 Do you follow these idols on social media? 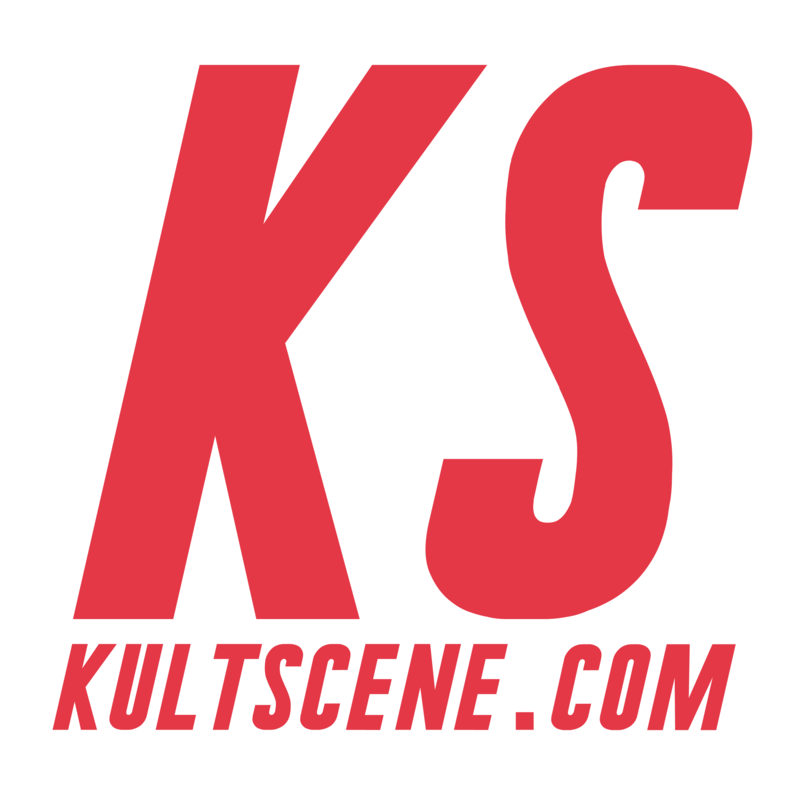 How do you think idols can interact with their fans better?Share your thoughts in the comment section below and be sure to subscribe to the site and follow us on Facebook, Twitter, Instagram, and Tumblr to keep up with all of our posts.